How can this SAP solution be helpful for you? Mobile technology has become an indispensable part of our daily lives. Our need to access information wherever we want, whenever we want keeps increasing its significance in your business lives as well as in your daily lives. In correspondence with the increasing competition, criteria for being successful in business world keeps changing day by day. Therefore the companies must offer their products and services faster, respond to demands quicker, access to their customers at once, carry its products and services wherever their customers are, in order to perpetuate their quality anywhere, under any circumstance. Thanks to SAP Mobile application, you can make ERP, SCM, CRM, HCM and PLM that you are using more valuable. You can monitor price trend of a material for the last 12 months while confirming the purchase for that material or, while confirming leave of your personnel, you can monitor how the productivity of the service you are managing is affected after leave, its changes compared to the previous months or even its actualization percentage. In this manner, you can ensure more efficient usage of your data by sharing it with your customers and business partners on mobile environment. You can add speed to your business processed with mobile applications which you can access from any platform on any device. You can turn data that you will acquire from a multitude of screens into regular forms and thanks to role-based applications you can reinforce the focal points of your employees and ensure they are using their time in a more efficient way. What are the services offered with this SAP solution? 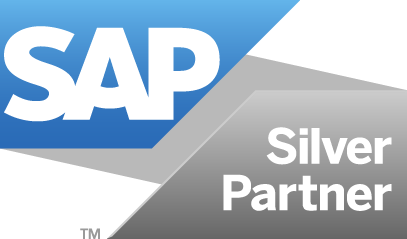 SAP application with HTML5 support compatible with computers, tablets and smart phones. What are the advantages of this SAP solution? Thanks to the flexible platform and infrastructure utilized by SAP, you can adapt into new technologies quickly. You can interpret large amounts of data more easily with the sector’s leading business intelligence and in-memory information technologies. It creates an option in compliance with the investments that you are making today and in the future. It provides extensive security and flexibility. It has the flexibility to meet the requirements of your current system. It has a free and constantly growing application library. Being independent of devices and platforms and ease of use, it provides a flexible usage for users. It is a product reliability and quality of which has been registered, used by many international companies. It has variety of data source options. It has Version Management convenience. Find out more about our SAP Mobility solutions.